Today, I was pleasantly surprised to find this tall species of Gentian growing in the meadows of Grayson Highland State Park. At first I thought it was Bottle Gentian, but the bright green color of the leaves, the large size of the flowers, and the high elevation locale led me to think it might be something else. After some digging on the internet, I’m speculating that this is actually Balsam Mountain Gentian, Gentiana latidens. This species was only recently described. It was previously thought to be a variation of Soapwort Gentian, Gentiana saponaria. Growing nearby this little colony of balsam mountain gentian plants was another species with more narrow flowers. Check out Stiff Gentian here. Please drop me a line if you know more about this plant and especially how it is currently classified. Click on any photo to open a slideshow. A bumble bee forced his way into the flower but then had a hard time getting back out! Next Post Rare Corpse Flower Is Blooming Now at Virginia Tech! We were up on the Rhododendron Trail at Grayson Highlands St. Park today. Glorious day! 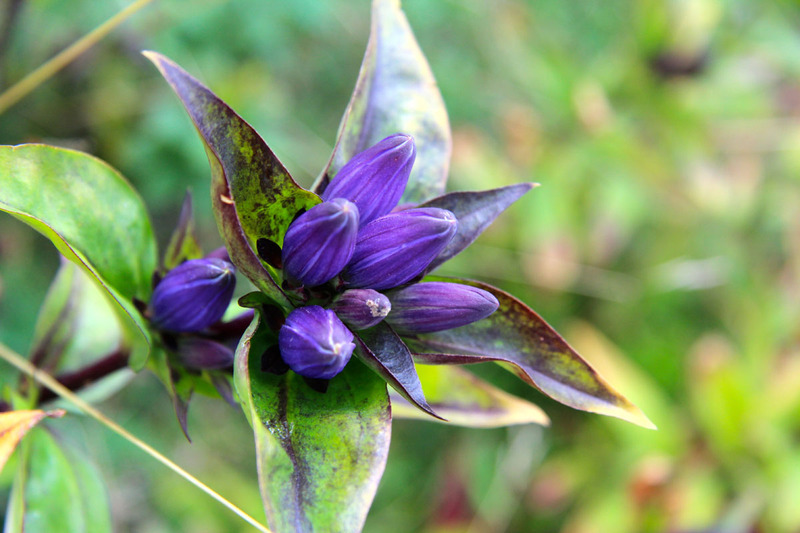 We saw the plant you call Balsam Mountain Gentian high on the trail and Stiff Gentian a little lower on the trail. We found your notes and photos from August. Thanks for the ID and extended info. Edwina Driggers ( a wildflower lover). I found these flowers growing in one small area near my home in Cambria County PA. I had no idea what they are and I was doing a search on the net when I found your info. I thought you would be surprised to know they are here in a very small area of Pennsylvania.